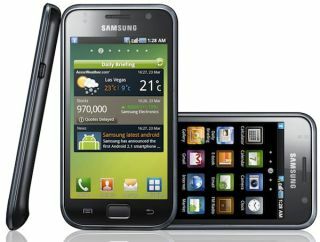 Samsung has halted the rollout of the new Galaxy S Android 2.3 update for Vodafone handsets. "Due to an issue with the Gingerbread update for the Samsung Galaxy S, its roll out has been temporarily suspended by Google. "Unfortunately, this means the Vodafone variant is not currently available to download through KIES." "As there are no known performance issues with the Vodafone variant of the device, we are working with Samsung to reinstate the roll out as soon as possible. "We know this is frustrating for those Vodafone customers who have not yet been able to update their device and are working hard to address the matter with Samsung." The rumour mill is abuzz with speculation over why this update would have been suspended, but it's believed that in certain regions the camera application has proved to be unstable, so Google is likely holding back on allowing the update out into the big wide world until it's satisfied all is well. We've contacted Vodafone and Google to see what the Dickens is going on, and will report back should we find anything more.